Tom Chick, Bruce Geryk and I have been playing Solium Infernum for the last few days. Because the build is still in flux, we had to abandon our first try as files got updated. But our newest game is being live blogged on the Quarter to Three forum. Check us out over there. I will eventually work screenshots into my posts. Is there no in game chat or are you doing this solely for the benefit of those who don’t have access to it yet? You can send messages in game, but this is more to give readers a sense of how the game plays out. I’m so jealous you’re playing, but so thankful for the live blogging. Even with the amazing games I’m playing right now, SI has me feeling like a child on Christmas Eve. I’m eating up any news I can find on the game and this is some of the best stuff yet even if I don’t quite understand the mechanics. It all sounds cool, though. 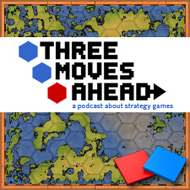 I must say, this is a very exciting prospect, we’ve been gagging for some blow by blow account of the progress through a strategy game with the TMA panel. Its a shame its a game we can’t taste for ourselves just yet, but it will give us a good idea on the features that are on offer, and perhaps highlight some strategies that can be employed once SI is released next week. I suppose its a bit too much to ask for screenshots of the play area, and positions etc…? Still, this is the sort of thing I think will liven up things in the future, rather than After Action Reports, we’re getting a During Action Report. Yummy! Ian, I have posted a couple screens, and will post more later. Thanks for the screenshots Bruce, much appreciated. It helps to clarify the positioning that is present in the blogging, plus it serves as good PR eye candy for folks who might be interested in the game, but haven’t managed to see it in action yet.